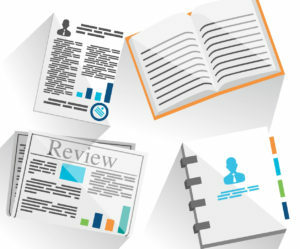 The value dossier is a key tool for disseminating the value proposition and supporting evidence, providing a succinct but comprehensive resource of the value story and supporting evidence to inform reimbursement submissions and payer discussions. We recognise that the specific needs for the value dossier will vary by product and indication and will evolve with life-cycle stage, but we achieve the most effective value communication by always ensuring our value dossiers are consistent, concise, clear, easy to navigate, and therefore easily accessible by all local teams. We have been developing value dossiers for over 15 years, successfully partnering with many clients to provide strategic guidance through core, global, country, reimbursement, and AMCP dossiers in all major disease areas. If you’re looking for a digital solution to facilitate communication to affiliates and provide instant updates, talk to us about our e-v@luate suite of tools. Our e-v@luate EVIDENCE tool has been successfully implemented by many of our client companies as a customised central platform for local affiliates across all products in a portfolio, providing a single point of access to the GVDs and other evidence from anywhere across the organisation and, because the platform can be easily updated, the latest evidence is always accessible.